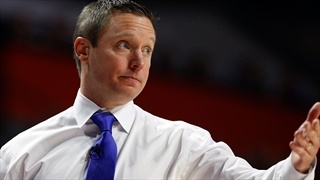 The Florida Gators (19-15) will live to see another game, as they pulled off the upset over the Nevada Wolf Pack, winning 70-61. After nearly blowing an 18-point lead, the Gators were able to hold on and advance in the tournament. 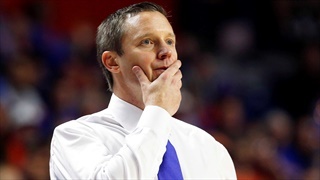 Florida's two game SEC Tournament winning streak came to an end with a 65-63 loss to No. 22 Auburn. 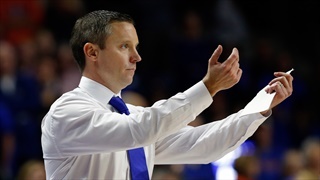 The Gators now have to wait until Selection Sunday to learn of their Big Dance fate. After a rough first half, the Florida Gators (20-14, 10-9) were able to overcome a double-digit deficit to come back and defeat the No. 9 LSU Tigers (26-7, 16-3) 76-73. 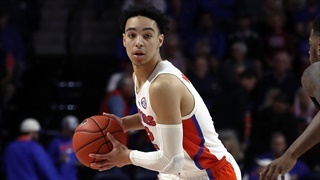 Freshman Andrew Nembhard made a three-pointer for the Gators with one second remaining to seal the deal. 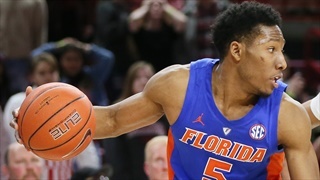 In the opening game of the second round of the SEC Tournament, the 8-seeded Florida Gators (18-14, 10-9) picked up a much-needed victory over the 9-seed Arkansas Razorbacks (17-15, 8-11) 66-50. 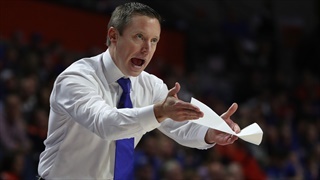 Florida (17-14, 9-9) ended their 2018-2019 regular season with a 66-57 loss to No. 6 Kentucky (26-5, 15-3) inside Rupp Arena. Similar to the first meeting, the Gators battle tested the Wildcats for the first 25-minutes of this game, before fading. 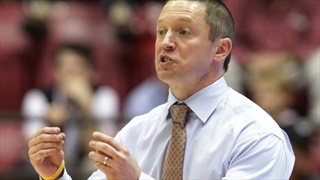 GAINESVILLE, Fla. – The Florida Gators (17-12, 9-7) dropped another game in heartbreaking fashion, letting the No. 10 LSU Tigers (24-5, 14-2) escape with a 79-78 win in overtime. 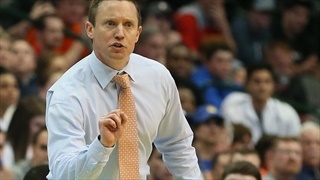 It was all Florida Gators (17-11, 9-6) Wednesday night in Nashville, as they dominated the Vanderbilt Commodores (9-18, 0-15) winning 71-52. The Gators took care of business on both sides of the ball, having good nights offensively and defensively. 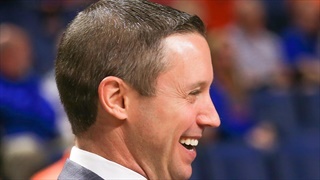 Just as things were looking gloom around Florida basketball earlier in the month, the Gators have turned things around, winning their fourth straight. The Florida Gators (12-9, 4-4) missed out on a golden opportunity to earn a resume-boosting win, but couldn’t close out the No. 7 Kentucky Wildcats (18-3, 7-1) losing 65-54. 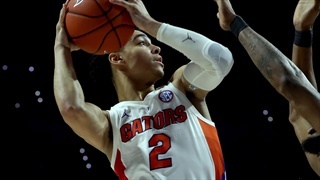 The Florida Gators defeated Ole Miss in overtime on Wednesday night, grinding a much needed league win. 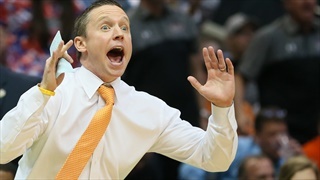 Florida (11-7, 3-3) was jolted by a dominate second half performance to beat the Texas A&M Aggies (7-10, 1-5) Tuesday night 81-72. The Gators trailed by 13 points at halftime, but caught fire from beyond the arc to pull off the impressive comeback win. 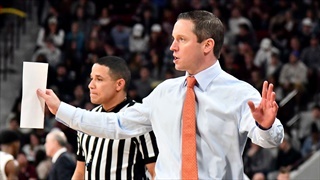 The Florida Gators (9-7, 1-3) dropped another close one in conference play Tuesday night, losing to the Mississippi State Bulldogs (13-3, 1-2) 71-68. Once again, the Gators could’ve had this one as the team continues to miss out on opportunities. 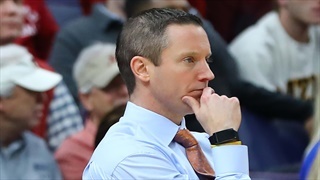 In a back-and-forth game, the Florida Gators (9-6, 1-2) came up short to the Tennessee Volunteers (14-1, 3-0), losing 78-67. The Gators were in until the end, but are likely kicking themselves over this one, dropping a game they could’ve won. 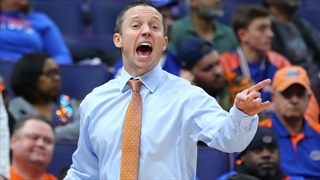 Florida (9-5,1-1) blew another double-digit lead, but was still victorious Wednesday night beating Arkansas (10-4,1-1) 57-51 to earn its first conference win of the season. GAINESVILLE, Fla. | The Florida Gators (6-4) were back in action following a 10-day break after their loss to then-No. 10 Michigan State. 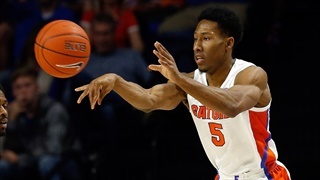 On Tuesday night, with the help of the long ball, the Gators defeated the Mercer Bears (4-7) 71-63.